Lest's unlock your Pop D5 5038A that lock in smart. no need to root just follow below instruction. take note that unlocking your phone can brick the warranty and we are not responsible for that ok?, do it at your own risk. 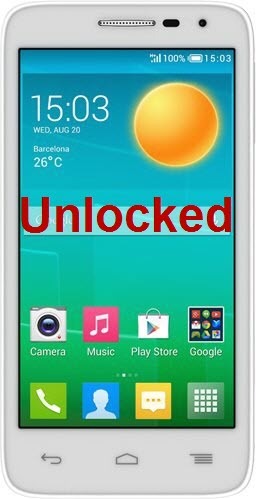 this unlocking method is tested by me, the phone of my client get locked again after i flash this firmware. but thanks God, you can easily unlock using NCK Dongle. 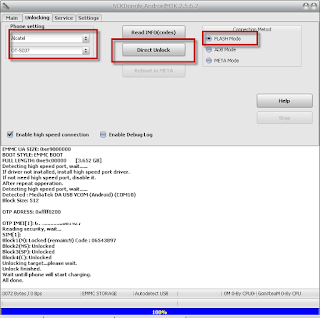 First you need to download NCK Dongle Android MTK. Installation Password: GSMXTEAM. On NCK Dongle, choose tab Unlocking, In phone Setting Choose Alcatel OT-5037. Then click Direct Unlock. Follow this screenshot. If you see Unlock finished, then congrats, your phone is now unlock.